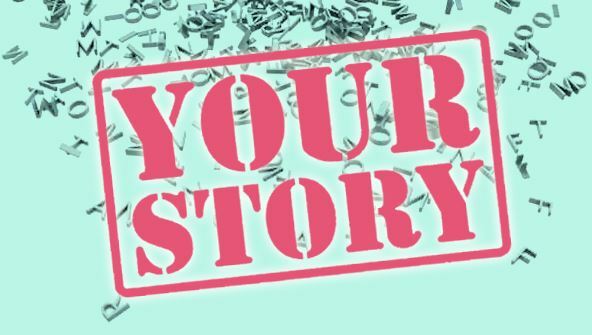 Has anyone ever told you that you have an incredible life or asked if you've written your life story? Are there things that you want to put in print for yourself, your loved ones, or the reading public? If so, then this is the class for you! In this first lesson, you'll discover why only you can write your life story, how to give yourself permission to do it, and explore some ways to empower yourself. Where should you start? The beginning might not be the correct answer. That's the focus of today's lesson. We'll also talk about becoming an observer of yourself and others around you. I hereby give you permission to ask questions and eavesdrop on conversations (without being rude, of course). What direction will you take with writing about your life? Will it be a book-length memoir or a collection of shorter essays? Today, we'll explore the endless possibilities and why you don't have to make any decisions just yet. Writing a life story is like making a pot of vegetable soup. You assemble all the ingredients, chopping some or maybe shelling fresh peas and peeling carrots. Then you find a pot that's the right size and begin putting the ingredients in it. Next comes the waiting part. You must simmer the soup for a while or it won't be soup—just cold water with raw vegetables. Right now, your life story might be just that—a bunch of ingredients that you need to assemble and let simmer. So, today, we'll talk about how to select the right ingredients for cooking up a life story that will satisfy you and your reader. In this lesson, we'll talk about the people who have been in your life and discuss their influence on you. In order to spark your memory and to pull these influential people into your story, you'll fill out character sketches on each person. You might even discover some things about yourself as you reflect on those who have been a part of your world. When you write your life story, you'll be revealing yourself. You may share moments few know about. You'll tell your side of events, adventures, and episodes. You'll make judgments, you'll give opinions, you'll speak out, and you may allow others to see sides of you that have never been revealed. We'll talk about—perhaps even wrestle with—these topics in today's lesson. Today, you'll learn quick, easy, and virtually guaranteed methods to spark memories. You'll do this by investigating your senses and your memories. This might include looking at photographs, going to movies, or even eating comfort foods from your past. In this lesson, we'll continue to focus on how to jog memories and find creative inspiration. First, we'll talk about writing in a journal. I hope that by the time this course is over, your writer's journal will be your new best friend. If you're serious about writing the stories in your life, you will need time to do it. So we'll also cover time management today. You'll learn where to find writing time and when may be the most creative times for working on your life story. Today, you'll learn ways to preserve your story, your own history. We'll talk about how to capture your writer's voice or the voice of the person you're writing about. Everyone has a unique speech pattern and word selection. Your job is to discover these voices and include them in your writing. We'll also go over how to get ready to interview others for information and how to fill in the blanks you may have in your own story. Then, we'll discuss how to find information you need through research. The challenge and fun of writing life stories is to write them as if you're sitting across a table from your reader, telling the tales. In this lesson, you'll find out how to do it. If you write, at some point you'll have to get information from another person. This is especially true when you're writing your life story. So, we'll devote this entire lesson to interviewing. I know, all the information is in your head. Or is it? Let's say you want to include how you and a grandparent share the same features, or so you've been told. By interviewing a friend or relative who also knew this person, you can get many more details. That's what interviewing is all about—asking questions to get information. And if you're helping another person write a life story, most of the information you get will be through interviews. Location, location, location! You need to clearly describe the details of the locations in your life story. In this lesson, you'll learn professional ways to describe your location so that it jumps off the page. You'll gather up the tools to make your story shine. Yes, it's all in the details. In addition, I'll teach you how to create a mental picture of a typical reader. You'll find out why, as you write your life story, it's smart to concentrate on this person and make sure he or she understands what you're saying. Do I need to know about grammar to write my life story? If you've wondered that, you can breathe easier because in this lesson, you'll get a quick review of the grammar you need to know and some tips to make it all much easier. Really. Then, because writer's block is real, pesky, and tends to destroy even the most hopeful writer, we'll take it head on. You'll discover the trick to dealing with this creative brain slow down: staying focused while giving your mind some serious down time. That doesn't mean you should give up your project or put it on hold. Just take some time out. Today, you'll find the answers to questions that may have plagued you in the past and stopped you from writing. When I first began writing, the hardest part was to gently, but relentlessly edit my own work before I shared it with others. Often, in my desire to create golden words—you know, the ones that are too beautiful to cut out of a manuscript—I have sacrificed entire paragraphs. Of course, after I tried to rework my writing, I always discovered that the golden words had to go. Today, you'll learn how professional writers self edit and what they do to make their writing sing. We'll also talk about selecting titles and including supplemental material—focusing on the extras that could make your book visually appealing. And finally, we'll discuss how to work with groups and when to share your work.